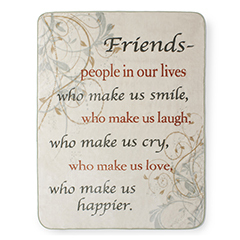 Celebrate your friends with this warm throw featuring a sweet quote. 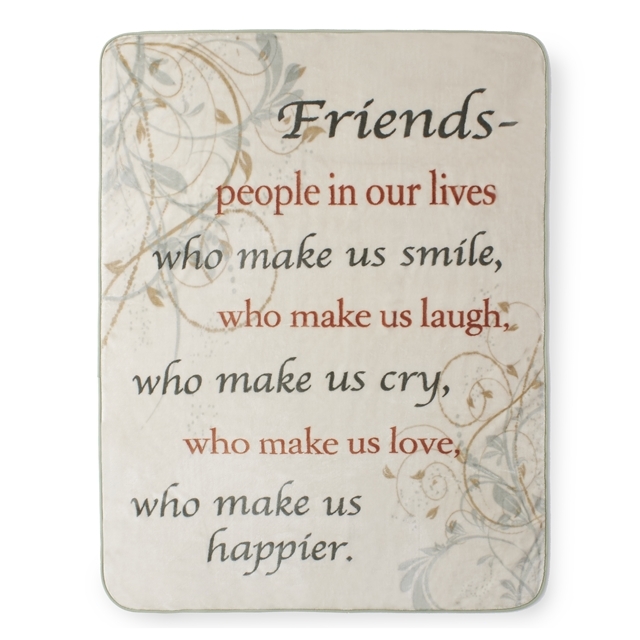 Let your friends know how much you care by displaying this Friends Quote Throw Blanket in your home. This 60 in x 80 in oversized throw will keep you warm as you relax or can cover a twin bed. This sweet sayings blanket is easy to wash and dry.